He is present in the gathered assembly as they pray and sing, for Christ promised "where two or three are gathered together in my name am I in the midst of them'' (Mt 18:20). He is present in the person of the priest who offers the sacrifice of the Mass. Christ is also present in His Word, since it is He Himself who speaks when the holy scriptures are read in Church. But it is through the Eucharistic elements (bread & wine) that Christ is most present to us. Through the prayers of the priest, (Take this all of you and drink from it, this is the cup of my blood...) the bread and wine which offer as the bloodless sacrifice to our Lord, truly become the Body, Blood, Soul and Divinity of Jesus. It is His true Presence in the form of bread and wine. It is Christ. Adoration is when the priest or deacon takes a consecrated host, and places it in a monstrance (monstrance comes from the Latin "monstrare"- to show) then places it on the alter for adoration. What do you actually do during adoration? It is a unique opportunity to pray before the very presence of Our Lord, exposed in the monstrance. It means that you can have some time in the real presence of the Lord, to recite your favorite prayers, read the bible, contemplate acts of faith, hope, charity, thanksgiving, reparation, pray a rosary or do whatever type of prayerful devotion that suits you, before Our Lord. It is also a unique opportunity for families to come together and spend some quiet time with the Lord as a family. 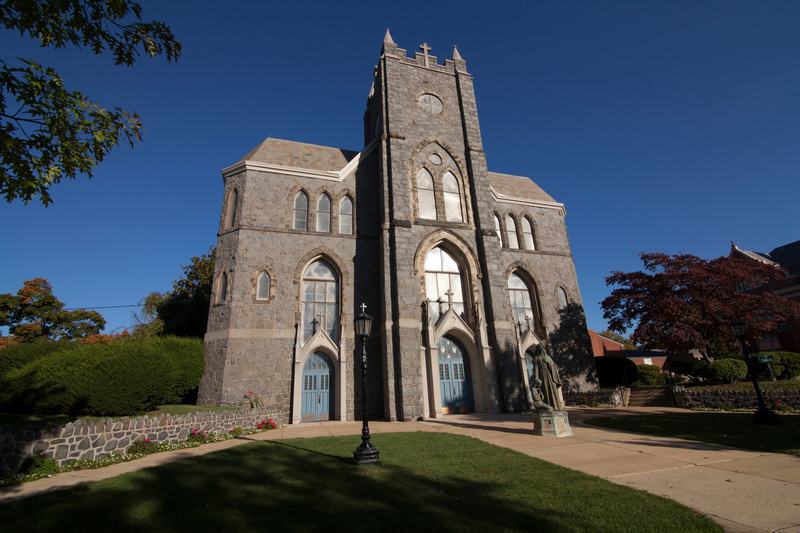 The Chapel of The Divine Mercy at St. Ann's is located on Grant Avenue between Gilpin and Shallcross Avenues. The Blessed Sacrament is exposed from 6 am to 10 pm, 7 days a week. We are always in need of adorers who will commit to one hour a week. Perhaps get a group together of 4 or 5 people and each person would come once a week to spend time in quiet prayer before the Lord. For more information you may email adorationchapel.stann@gmail.com or call 302-584-1422 or 656-8438.